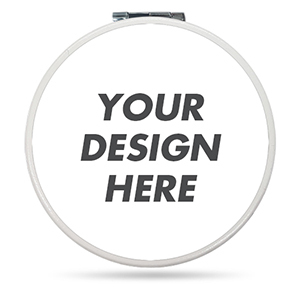 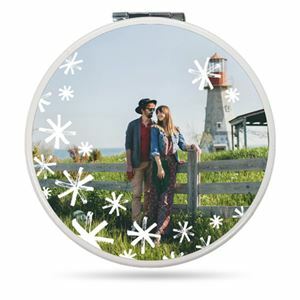 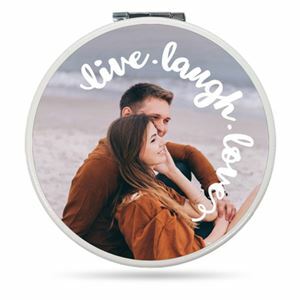 Both sides of the Compact Mirror case are fully customizable with photos, designs, or text. 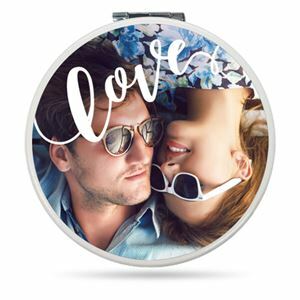 The front and back of the case are more than 2.5” in diameter, which gives you plenty of space to show off your favorite images. 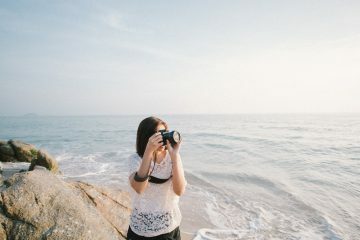 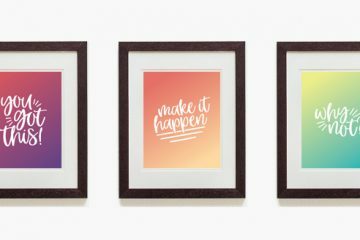 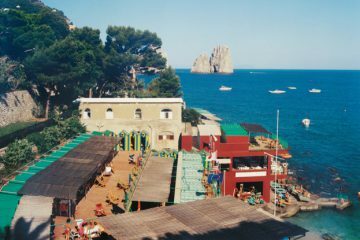 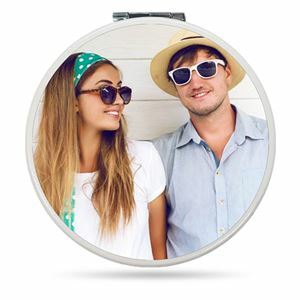 Images are printed on white leatherette surfaces with a small white border around every picture. 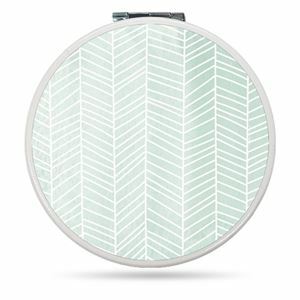 Inside, you’ll find one standard mirror and one magnified mirror for touch-ups on the go. 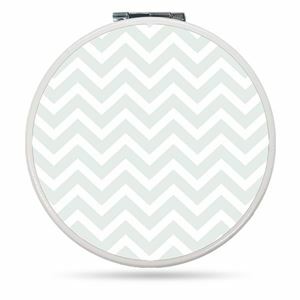 A soft magnetic closure keeps the mirrors inside safe and sound. 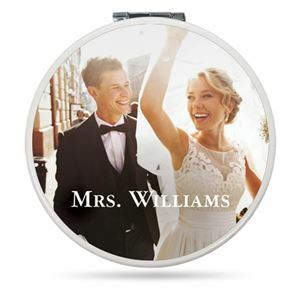 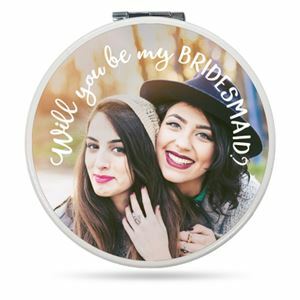 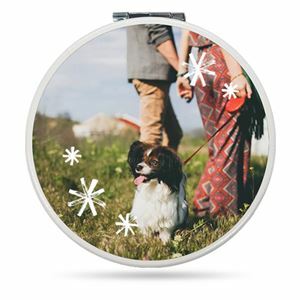 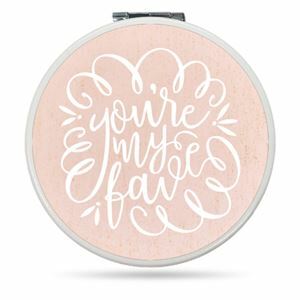 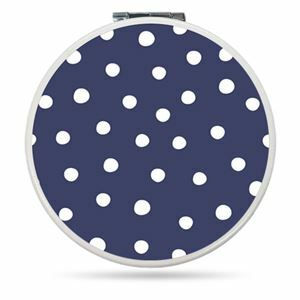 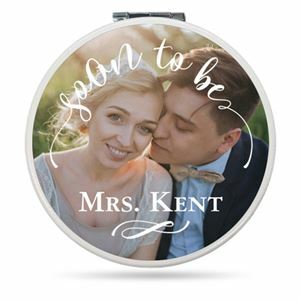 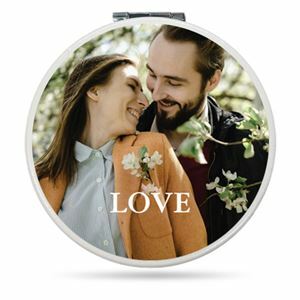 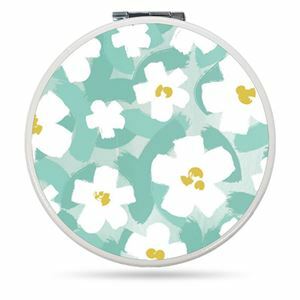 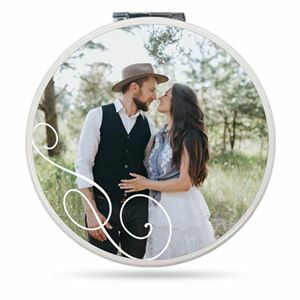 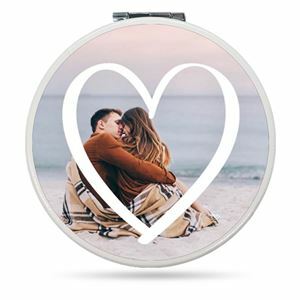 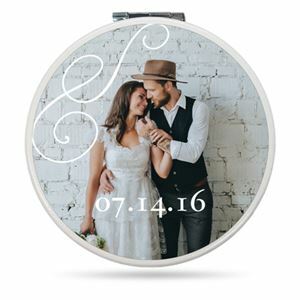 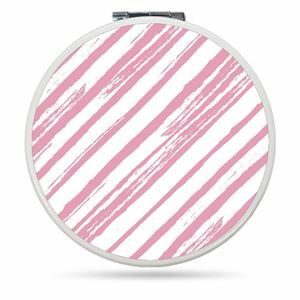 Personalized Compact Mirrors are perfect gifts for brides, bridesmaids, graduates, moms, grandmothers, and friends!